ITC Golf Tours has put together a selection of golf cruises that are a little different - but always an emphasis on GOOD golf! MV Deutschland (5-star) is a 'grand hotel' reminiscent of the golden era of cruise travel. Personalized service in a luxurious setting with a maximum of 520 guests. August 15 - 25. Visit exciting London, explore the charming town of Cobh in Ireland and stroll the narrow streets of the fishing port of Killybegs. See the elegant Victorian buildings of Belfast, enjoy a pint in a Dublin pub and see where the Pilgrims set sail for the New World in Plymouth! August 28 - September 10. Cruise the Baltic. Depart from the seaside town of Travemunde, marvel at the white cliffs of the Isle of Rugen, the gabled waterfront of Gdansk. Visit the stunning Imperial capital of the Tsars - St. Petersberg, on to Tallin, the 13th-century capital of Estonia. Continue on to Stockholm the Venice of the north, Riga (Latvia), Klaipeda (Lithuania), Kalamar, wonderful Copenhagen, and historic Flensberg. September 21 - October 4. Western Europe from north to south. Depart Hamburg and cruise to the canal city - Amsterdam, stop to enjoy Belgian chocolate in Zeebrugge, marvel at the picturesque fishing village Honfleur, visit the citadel in St. Malo, St. Naraire, La Pallice, call at Santander with its sandy beaches, walk the medieval alleys of Lisbon's Alfama ending in Malaga, capital of the Costa del Sol. 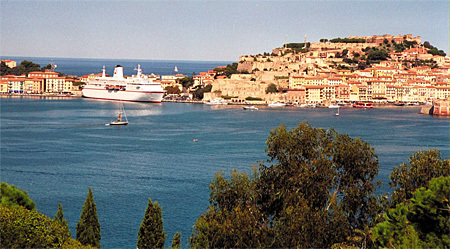 Cruise aboard river vessels with top-class service and accomodations. Travel through unique waterways passing beautiful landscape, quaint towns, medieval villages, not to mention the many castles along the way. July 8 - 18. 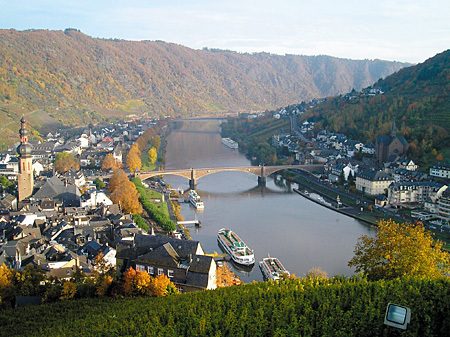 Cruise on the 5-star MV Heidelberg along the Rhine. Marvel at the spectactular medieval castles along the Middle Rhine. This stretch of river has more wonderful castles than any other river in the world and has become known as the Castle Gorge Region. Visits are made in Amsterdam, Cologne, Koblenz, Strasbourg and Basel. September 10 - 21. 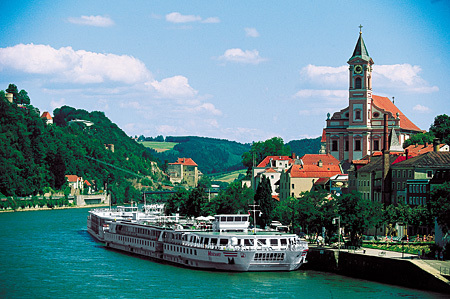 The 5-star MV Mozart cruises the Danube, Europe's second longest river. Along the banks you see Gothic cathedrals rise from the lush vineyards and medieval villages stand as they did years ago. On your voyage you will visit Vienna, Budapest, Bratislava, Melk/ Grein, Bad Griesbach and much more. May 13 - 24, September 2 - 13. 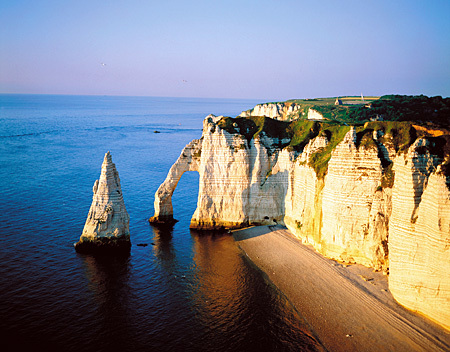 Cruise in the 5-star MV Cezanne where you combine the beauty of the Seine and the wonders of the Normandy Coast. Time is spent in Deauville where you visit the monastery of Mont St. Michel, the landing beaches. Visit the historic and beautiful town of Rouen, Monet's home town of Giverny and the city of lights - Paris, plus much more. Air from 16 gateways to Europe INCLUDED in Cruise Price. Prices are per person, based on double occupancy. The above is based on the lowest cabin category, other categories are available. Port charges are NOT included in the above prices. NON GOLFER REDUCTIONS are available.